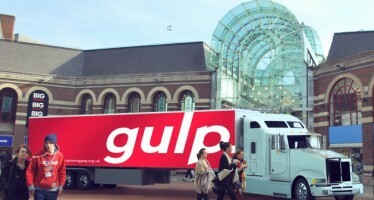 Blackpool Council’s Public Health Team hosted a GULP stand at this year’s Freshers Welcome Event, to encourage new students to #GiveUpLovingPop. Blackpool and Fylde College approached the Council’s Public Health Team to ask if they wanted to promote some of our public health messages at Fresher’s week. 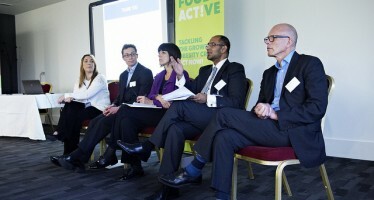 They jumped at the chance to encourage students to drink water rather than fizzy pop and energy drinks, which we know are popular drink choices for this population group. Soft drinks typically contain high levels of sugar, have no nutritional value and with the sugar levy are now much more expensive. Free tap water is available across the campus so offering a complimentary GULP drinks bottle that can be refilled, will help to keep students hydrated and reduce plastic pollution. ‘The Give Up Loving Pop stand was very busy and it was great to see the students filling up and drinking water from the free GULP bottles they had been given’. ‘The Public Health Team is there to support people in Blackpool to make healthier choices, events like the Fresher’s Fair are a great way of achieving this’. 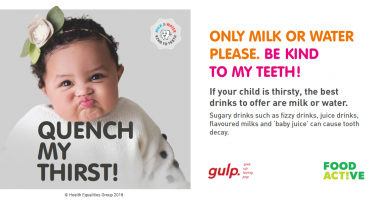 Blackpool have already delivered three successful Give Up Loving Pop campaigns over the past few years, in partnership with Blackpool Football Community Trust engaging with thousands of primary school children across the area to help promote healthier drink choices. Visit the Give Up Loving Pop website for more information.